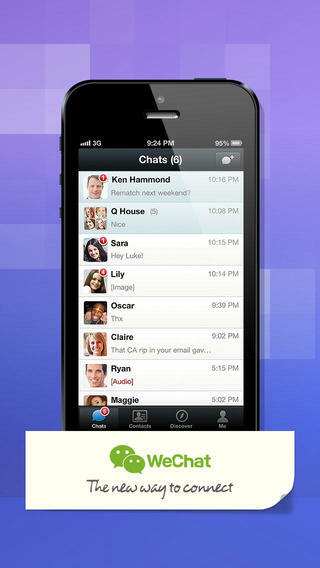 Tencent today updated its bestseller cross platform messaging App WeChat for iOS devices. The newly updated version has a very good feature called 'Hold Together'. This feature lets you know if your friend is nearby. The newly updated App also has a in-App store which lets you buy stickers which you can then send to your near and dear ones. Tencent is has also updated WeChat's Chinese sibling 'Weixin'. The Weixin brings in a whole new strategy of including a Game Centre to the cross platform messaging App. Looks like the Chinese major has a nice monetization policy ahead of it. It has also released a Game called Tian Tian Ai Xiao Chu for the Weixin version of the application. You can get the Chinese versions for Android, iOS, BlackBerry (old), BlackBerry 10, Nokia S60 (all versions) and Windows Phone here. Tencent has already said that Android version with Hold Together is in the works. The Game Centre is also sure to come to iOS and Android devices soon enough. As of now you can download the updated WeChat for your iOS devices from Apple Store. I liked the sticker shop.